Are you a professional chef in Miami, Florida? Interested in a network that connects you to thousands of individuals, businesses & restaurants who are looking for skilled chefs? 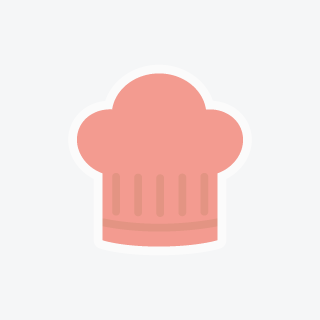 How about a website that allows you to select clients, projects and is backed up by a customer support team to help you connect with the Miami chefs jobs you’re looking for. Interested? Of course you are. Meetachef.com Miami, Florida database is filled with clients who are looking for caterers, personal and executive chefs in Miami, Florida. They need someone who can not only cook food but manage a team of culinary workers and has the flexibility to work in different environments. A chef who can develop recipes and manage culinary dish design. Create a profile with MeetAChef.com- it’s a free advertisement promoting your chef services in Miami, Florida! Your profile, featuring your experience and expertise are made available to people in the Miami area who can select you to fill their open chef positions. You choose which jobs and clients you want to work with. Browse the existing Miami chef jobs below and contact, securely through our site, the most interesting ones to you. It’s that easy! MeetAChef.com find a Miami chef service is powered by CareGuide.com, which has been featured on Betakit, Techvibes, Mashable and The Huffington Post. If you have any questions about the process or need help connecting with an individual or business listed on our site our customer support team is always ready and available to help. I know its a little late but we are hoping to set up a romantic vegan dinner for 2 on valentines day in Miami.I know its a little late but we are hoping to set up a romantic vegan dinner for 2 on valentines day in Miami.I know its a little late but we are hoping to set up a romantic vegan dinner for 2 on valentines day in Miami. Driven and responsible cook for neighborhood diner. Needs to know his/her way around the kitchen, prepare breakfast, pasta, sandwiches, etc.Driven and responsible cook for neighborhood diner. Needs to know his/her way around the kitchen, prepare breakfast, pasta, sandwiches, etc.Driven and responsible cook for neighborhood diner. Needs to know his/her way around the kitchen, prepare breakfast, pasta, sandwiches, etc. I need the job ..as a Pastry commi Pls help me ..I need the job ..as a Pastry commi Pls help me ..I need the job ..as a Pastry commi Pls help me ..I need the job ..as a Pastry commi Pls help me .. Looking for a vegan chef who specializes in comfort food.Looking for a vegan chef who specializes in comfort food.Looking for a vegan chef who specializes in comfort food.Looking for a vegan chef who specializes in comfort food. Looking for a vegan chef who specializes in vegan comfort food. This event will take place July 3rd- and 4 people will be attending.Looking for a vegan chef who specializes in vegan comfort food. This event will take place July 3rd- and 4 people will be attending.Looking for a vegan chef who specializes in vegan comfort food. This event will take place July 3rd- and 4 people will be attending.